We have visited so many places and the part of travel that is the most interesting and soul satisfying is connecting with people. This is one of those times when I feel like writing about our experience can only give a dull and flat reflection of something beautiful and rich. I wish that I was a real writer and could better portray these feelings! Sure, Disneyland Paris is amazing and we had a fabulous time time there. Seeing the wonders of Rome was awesome in every sense of the word. But spending time with new and old friends has made this time incredible. I could go on and on for ages about all of the friends we met and saw, but I will keep it to just the four families we stayed with. We like staying with people for many reasons. We feel like we get a more realistic view of what it is like to live in a given place. What kinds of food are in the cupboards and what condiments are on the table? These things are different everywhere you go. Connecting with people is so much easier in a comfortable setting like a home. We had the opportunity to spend precious time with some old friends as well as stay with family of friends. Really, how cool is that: inviting strangers to stay with you based only on the fact that they know your sister? A couple of the friends we visited have children and seeing our children become friends is one of the most beautiful experiences! In Paris we were privileged to be able to stay at the home of our old neighbor’s sister. I could not believe how welcoming they were! We were pulled in and treated as if we were part of the family even though we had never met and it was a little difficult to communicate due to the language difference. From the moment we walked on the door and were greeted with champagne and snacks while every evening we were absolutely spoiled with gourmet dinners as we began to develop a friendship. Their son, Antoine, was also home and added many memorable moments to our conversations and dropped us off at the train station in the mornings. Marie-Ludovich and Emmanuel hope to one day soon come visit some of the U.S. National Parks and I sincerely hope we are able to connect and spend time together again. Emmanuel and Marie-Ludovique in Paris. Once upon a time I had a very cool youth choir director that became a good family friend. 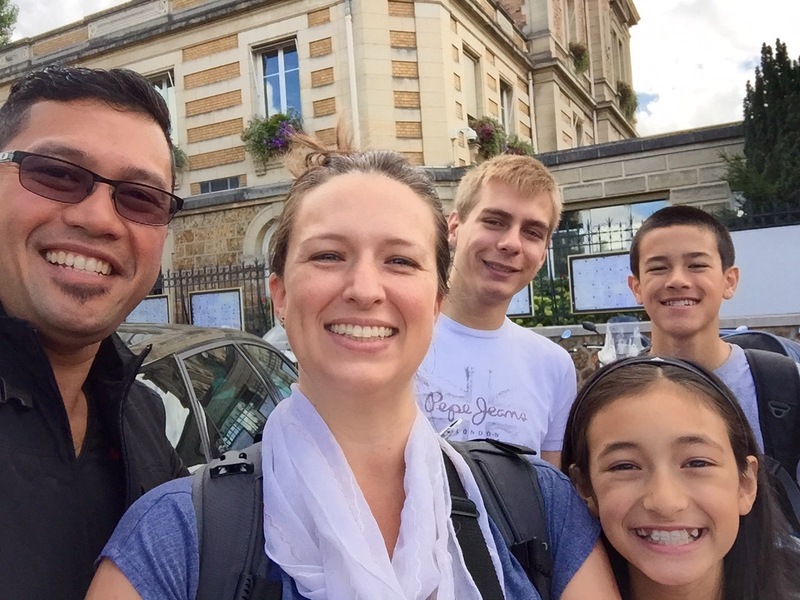 He married a very sweet gal from church and they are now serving with their three kids as missionaries in Brussels. Well, when you are spending almost two weeks only a couple hours train ride away from an old friend, of course we would pop over for a visit! This was the first time on this trip for our kids to have time with other kids. It was so much fun to see the kids playing together until late at night while we got to spend time chatting as adults. Glen played the role of fabulous tour guide, they treated us to spectacular dinners, and all of the kids were glad to play together. Visiting Glen, Dana, and the kids was a special time for us. 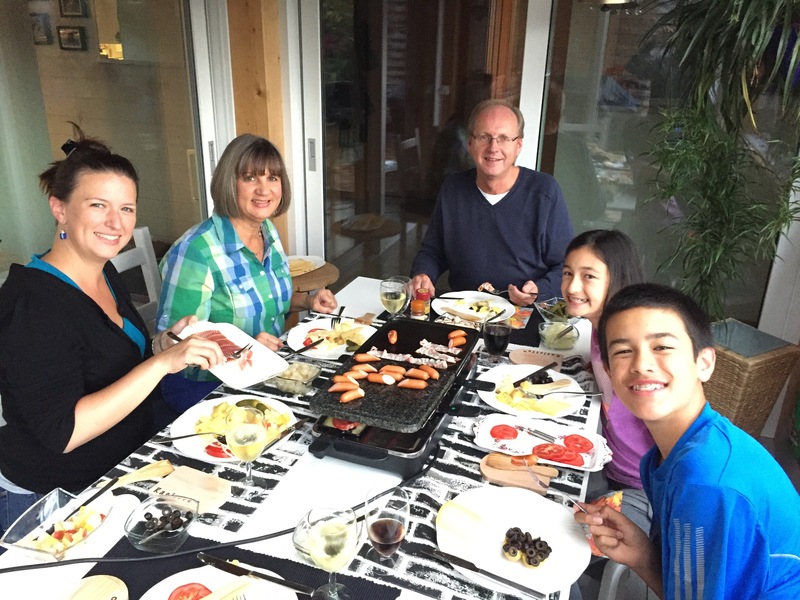 Moules-frites (Mussels and Fries) with the Johnsen Family in Brussells. The Bunda and Johnsen kids are pals now! 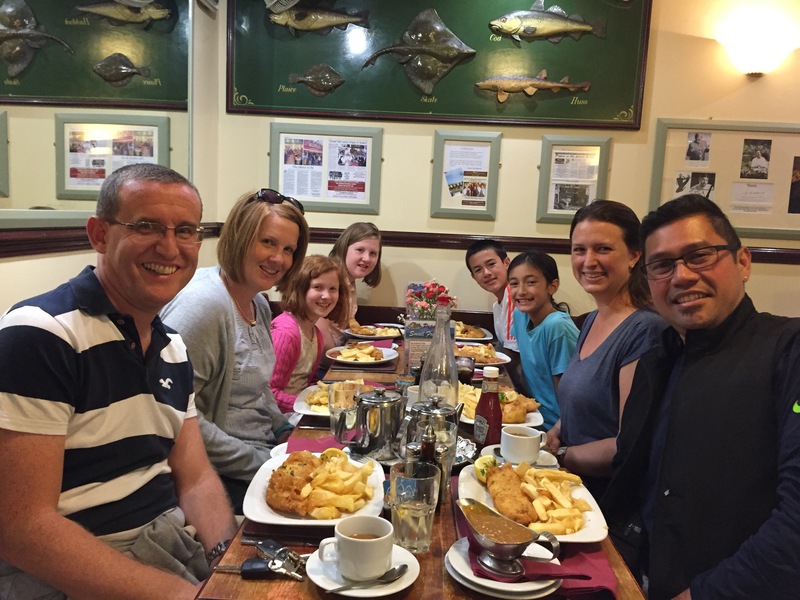 In southwest England we had the blessing of staying with the Ackrill family. Clare had been on the same DTS school as Paul 21 years ago and I had the opportunity to meet this sweetie the following year. She and Dave jumped to volunteer to have us at their home. 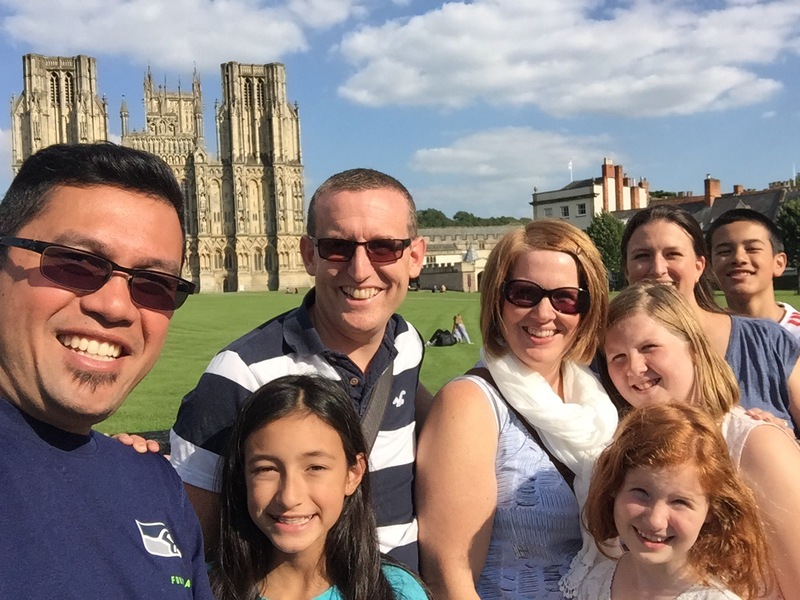 We spent time exploring the Somerset area (Did you know that Cheddar is a place? Like where the cheese comes from?) and generally getting along amazingly well. Their girls and Kamaile now regularly text and are Instagram pals. Bundas and Ackrills in front of the Wells Cathedral. Fish and chips together at Papa’s in Weston-super-Mare. 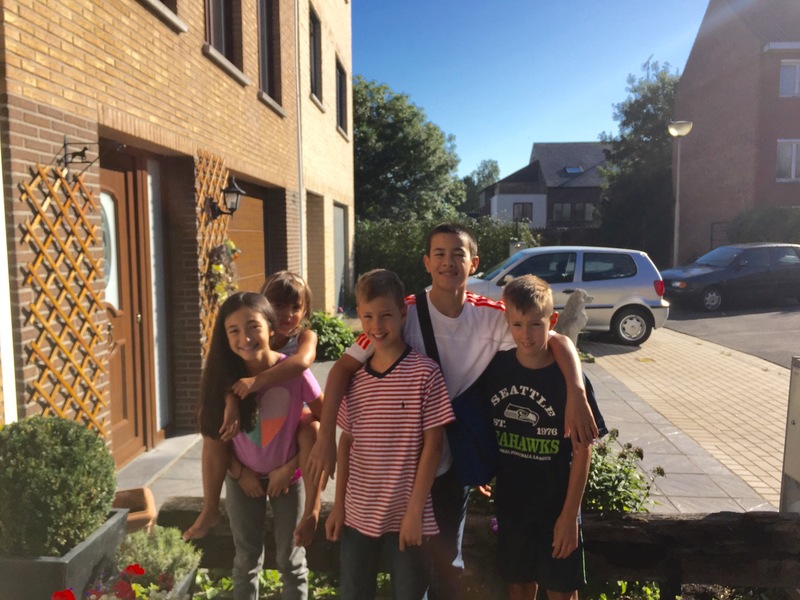 So, what is it about the combination of spending time with people we haven’t seen for ages with seeing our children get along? There is something special there that is really difficult for me to articulate! 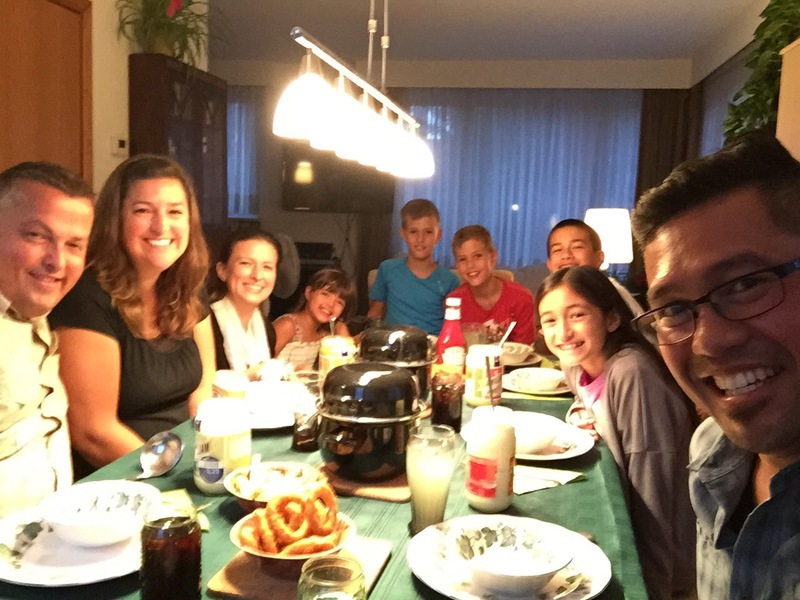 On the last couple days of our adventure we were able to stay with the Dahers in Switzerland. They treated us like family, welcoming us to their home and table and showing us some fabulous sight of the area. They introduced us to my new favorite food: reclette. If you need to know more about this heavenly dish, you can read this. 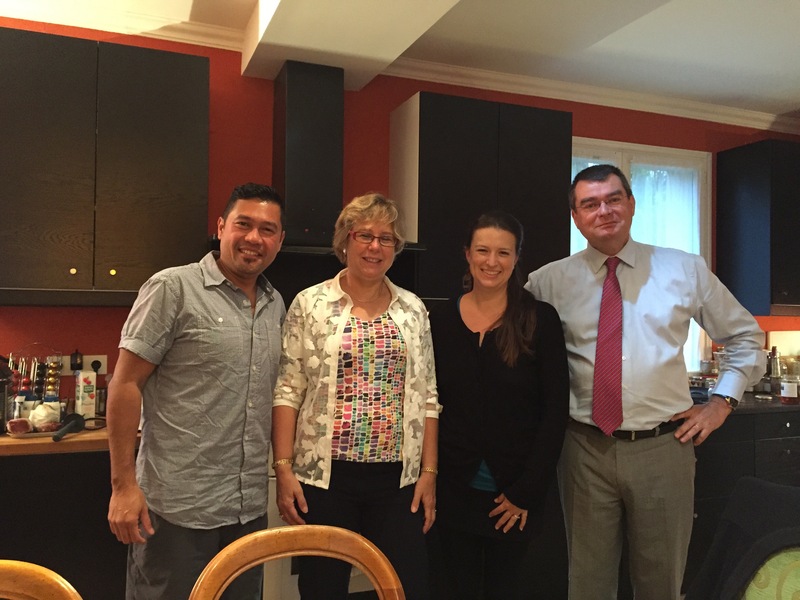 Lawrence and Doris were fabulous hosts in Thun, even introducing us to reclette here in their sunroom. We are forever grateful to each of these families who provided us with a comfortable place to stay, introduced us to delicious local food, and welcomed us in their homes as family. We feel blessed for our time together and have come away with a richer experience than we even hoped for!